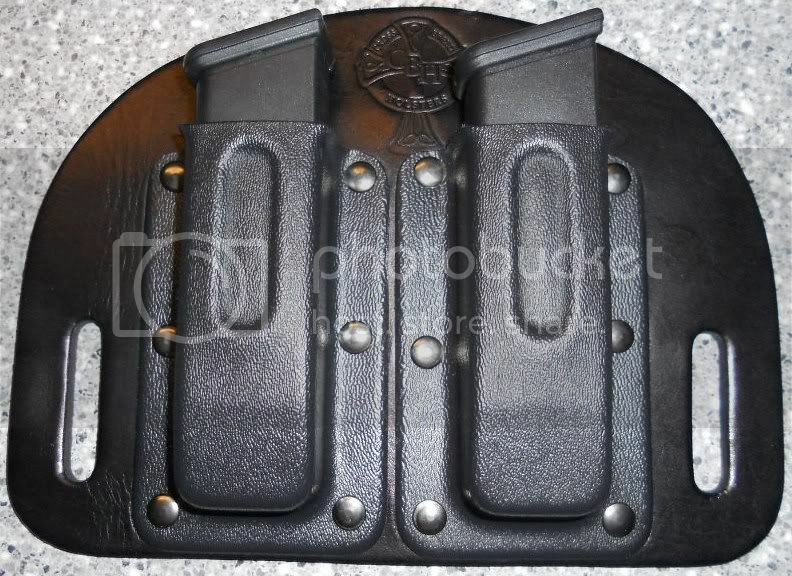 Specs from CrossBreed Holsters: The OWB mag carriers are available in dual and single configuration and offer what we believe to be the best option for carrying extra ammo. While not taking up additional room inside the waist band, they offer great comfort and are designed so most of the mag is above the belt line, allowing them to easily be concealed by a light cover garment. They ride high and close and offer very fast access to extra ammo. Avaiable in three three finishes, Field Grade, Bomber Brown and Dress Black. Bomber Brown and Dress black versions have a layer of top quality garment leather laminated over the outside which results in a more refined look for those who prefer it. 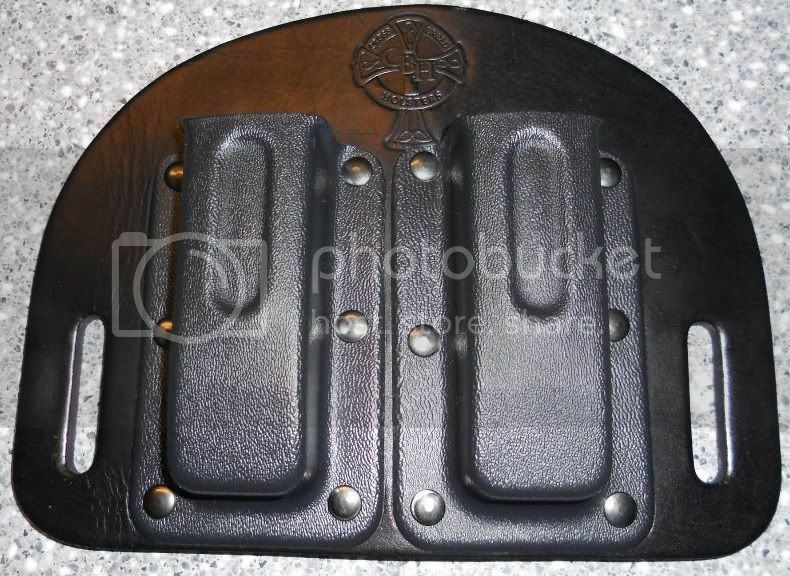 This outer layer of leather is permanently bonded to the holster and will look good for years to come. We realize that the cost for fancy covering on these may seem a bit high but please realize they are very hard to do the cover on and we must price that option accordingly.